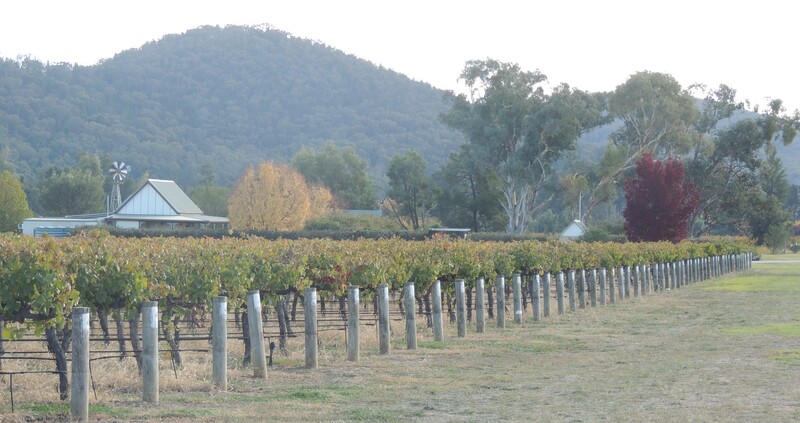 Autumn is finally well-esconced in the Central Tablelands of New South Wales, and in fact even Winter made its looming presence felt yesterday with a blast of cold air bringing us a little rain, strong wind and snow to some places. The maximum temperature here was 11 degrees C and that was only for about five minutes. It was a day for settling snugly by the fire and doing indoor things. The weather was better today, but even so, Winter is prising the fabric of the days apart with its icy fingers and threatening an imminent arrival. You can feel it in the sneaky chilly breeze. Six on Saturday is the mushrooming meme hosted by The Propagator. To see what other green-fingered folk have happening in their gardens, drop in to his blog where you'll find inspiring gardens and ideas. As the season comes to a close, it's becoming more difficult to find six things in my garden on a Saturday, but here are mine for this week. Agastache 'Sweet Lili' is having a last pirouette before closing down for the Winter. She has flowered constantly since last October. A star performer who has danced through the summer despite everything the season threw at her. 2. Caught re-handed! 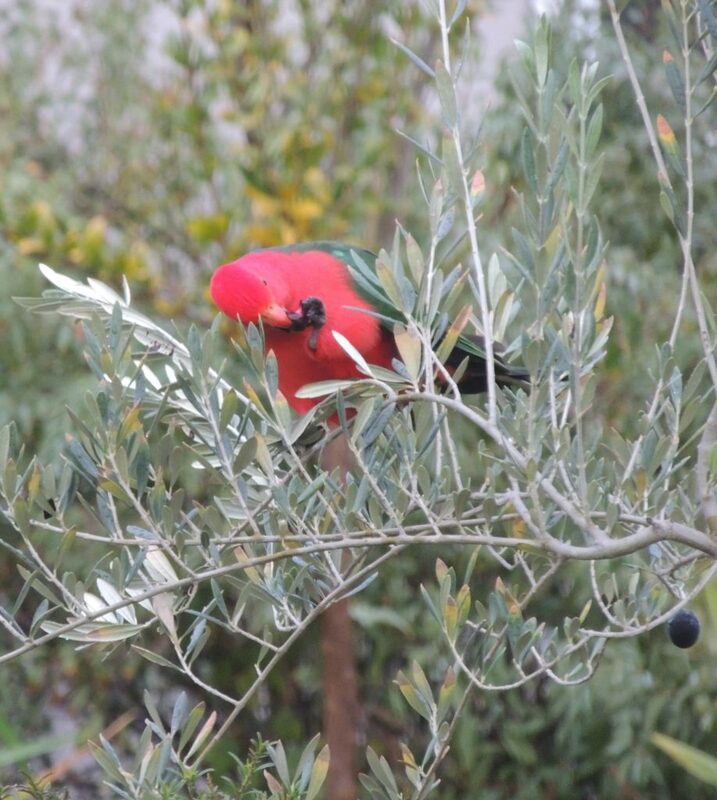 A King Parrot helps himself to olives. As a consequence the few olives we had were harvested soon afterwards. I wonder that the parrots can eat olives off the tree as they taste very bitter. Needs must when the drought bites. 3, The flowers of Erica melanthera 'Ruby Shepherd'. It's a winter-flowering shrub, so should bring brightness to the garden when many other plants are dormant. It's a very recent addition to the garden and only very small, but I like it so much I've decided more must be found forthwith. 4. Lobelia flowers. An underrated plant, lobelia will flower for most of the winter here. The flowers are like indigo butterflies. 5. Banksia blechhnifolia. This is a Western Australian native. Plants from WA can sulk a little over on this side of Australia, but this one has been behaving quite well. These furry growths are at the end of the stems and they remind me, in close-up, of moths' feelers waving inquisitively. So far there has been only one flower on this plant and I'll have to wait until about September to see some more. 6. Crepe Myrtle 'Natchez'. Here are the beautiful Autumn leaves. It's only a small tree but is so hardy and beautiful in every season. Weather today: Cloudy. 6-16 degrees Celcius. 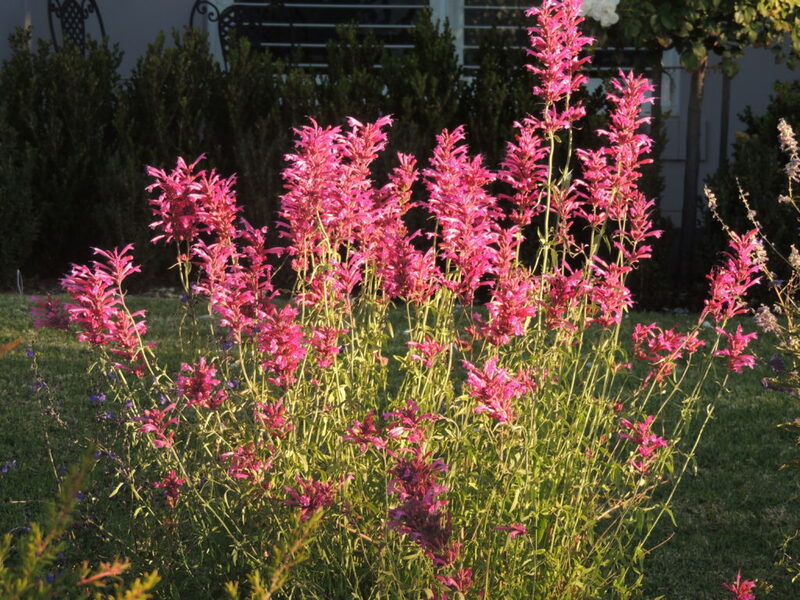 Amazing Agastache! I love it. You have such beautiful dry plants. Still haven’t found a chance to plant Leptospermum, but I am on the lookout. Thanks Tim. Good luck with finding a leptospermum. He’s gorgeous isn’t he? I don’t mind them eating the fruit. The Crepe myrtle is a gorgeous colour, I have two my my climate is too dry for them to thrive, they rarely flower and autumn colour is minimal. I think they thrive where there is humidity. I’m really surprised you have trouble growing a crepe myrtle, Christina. It’s very dry here and they do really well. There are some in the street that don’t receive anything except rain, and there’s been precious little of that. Also, we have next to no humidity, so perhaps yours had some other problem. That agastache is beautiful! I am growing ‘Blue Boa’ This year – my first experience of agastache. Erica is beautiful – such a lovely combination of pink and peach. Is it almost worth growing olives for the King Parrots? They are so beautiful! I have 5 ornamental pears (inherited) and they have lots of tiny fruit on them, but the parrots haven’t discovered them yet. I wish they would. We can put seed out for them, though. Blue Boa is gorgeous, I have to get one immediately! I’m fascinated that you grow Lobelia as a winter plant, in the UK it is grown as summer bedding. I just love both Banksia and Erica. Hi Jim, I don’t specifically grow the lobelia during winter, it just seems to keep on keeping on! Haha… I see your temperature is about the same as ours! And we are supposed to be getting warmer! Cool breeze today but the sun is shining and I am always grateful for a sunny day. Love your Erica, wonder if I can get one of those here? 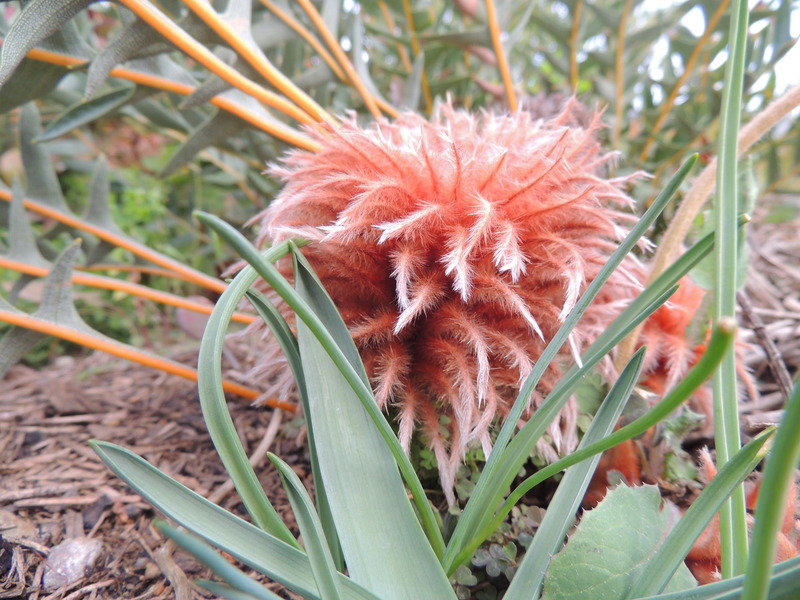 And the Banksia which I think looks like a feather duster! 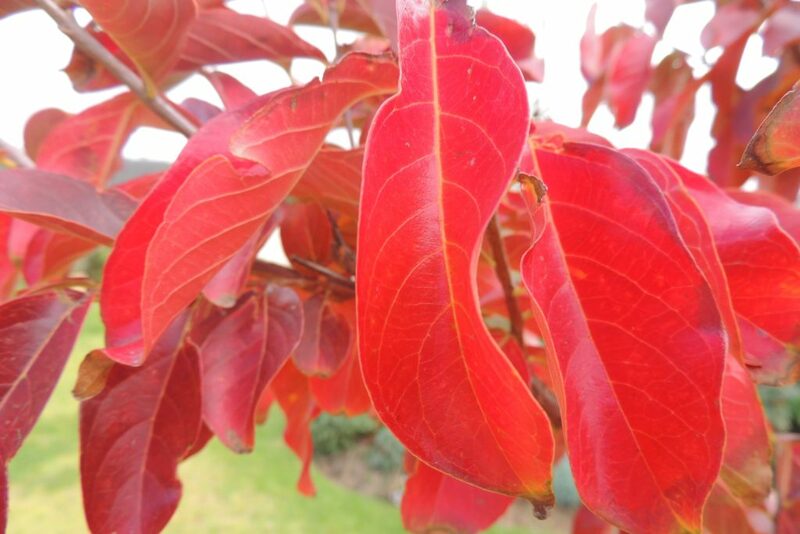 And what a gorgeous colour your Myrtle goes. I’d hate to live somewhere that doesn’t have seasons. Thanks Jude. Happy weekend to you too! If you can’t get Erica, maybe you could grow heather which I think might be similar? The Autumn colours have been vibrant here this year. I think it might be the lack of rain. I have an Erica ‘amy doncaster’ in the UK. Tree Heather, defo available here. Oh but blackbirds and thrushes have such nice voices, Fred. 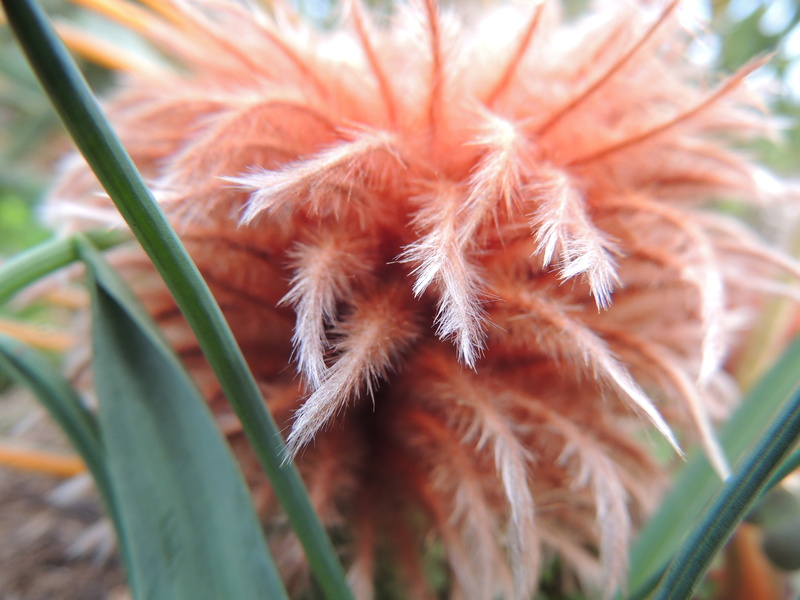 The fluffy banksia is interesting-can’t wait for it to flower! What vibrant colours! I think I could forgive the pigeons that ate all my seedlings if they were as beautiful as your parrot. Lovely Six. Thank you. I don’t mind the parrots eating the fruit, and in a couple of years when I have more than I know what to do with, I’ll be hoping they invite their friends along as well! Lobelia and Erica; two of my favourites back when I had a garden. What an amazing place you lived in. It must have been a real wrench to leave. I wonder if you left because there was getting to be too much work? That’s why we left our country place and it took us a long time to come to terms with the fact that we no longer had it. I still miss it. You’ve treated us to a beautiful six at the end of the season. The colours are still so vibrant . . . and I LOVE your parrot, even if he is stealing the olives! 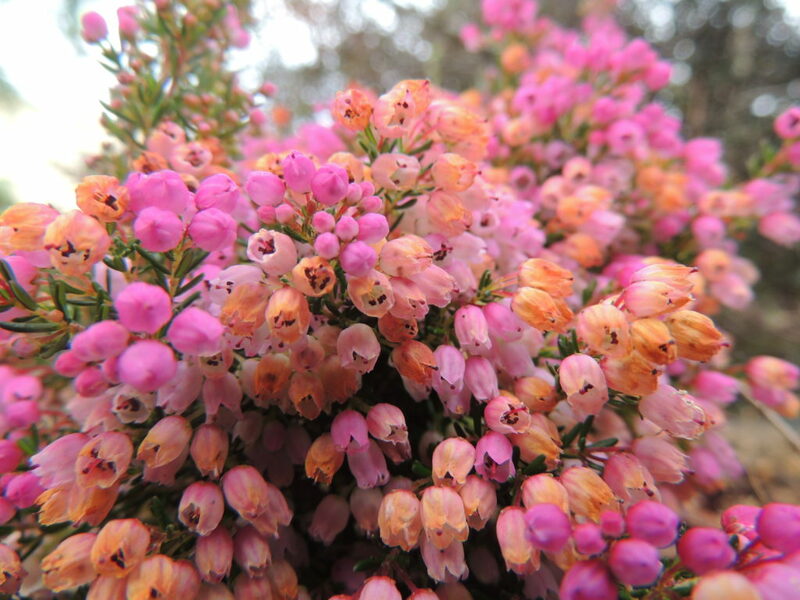 The Erica you’ve featured is gorgeous. I’ve never seen one so colourful. Definitely a variety to be sought after. Oh thank you Vicki. I saw the banksia in the RBG when we were there, and I was a bit surprised at its size. Mine is only small and I’ve had it for a couple of years….waiting impatiently for it to flower. I’m delighted with the Erica. I hope to source some more especially if they’re going to flower during the winter. Thanks Lis. We’ll be welcoming parrots when we have so much fruit on the olives that we can’t use it all! So much color, still! And the parrot just adds to the vibrance. It does indeed, Jo. It’s always a delight to see them. Lovely photos and your Erica is looking beautiful! The Erica is a star. Thanks SA! They do tend to do that Gill! Gorgeous crepe myrtle leaves. They match the parrot. They do don’t they? He’s a gorgeous colour. That’s the prettiest Banksia I’ve ever seen! Not that Banksia of any variety are easy to find here. I was eyeing some Agastache at a garden center just yesterday but left without them, principally because my mission was to pick up bagged compost. Agastache doesn’t always do well here but I think I may plant some before summer gets its grip on us. Our outdoor temperature here is remarkably cool (under 60F/15C) today, which is very odd for May. My brother, just 45 miles to the north, also said it’s pouring rain there – also very odd for us this time of year. I hope you get some of that rain Kris. It sounds as though rain can be isolated there, similar to here. I’m looking forward to seeing the Banksia in flower. It’s a very big flower for the size of the plant. We had a cold Friday too, but it’s warmed up again now. I’ve never seen a banksia like yours before. It’s a beauty. Hello Carol. blechnifolia certainly is interesting. I’ll be sure to post a photo when it flowers. 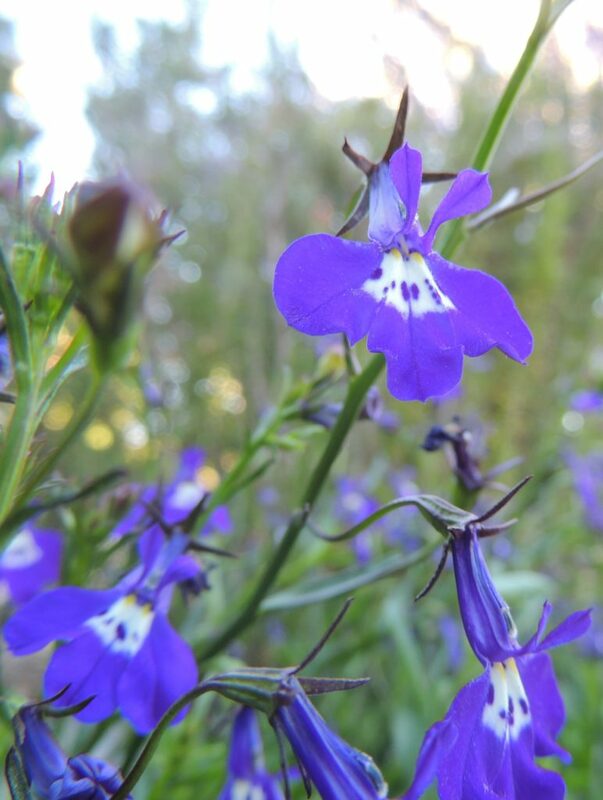 Your Lobelia is beautiful and looks like what we use as an annual here in Canada. And the parrot is so exotic. ….what a wonderful colour combo the two would be if ever they were side by side! Lobelia is an annual here too, Chris, but for some reason it just seems to keep on. I cut it back when it starts to look scruffy and then it comes back again. It’s very obliging. What a beautiful colour in the leaves of the crepe myrtle. It seems strange seeing autumn colours when everything here has recently become so green. I’m sure it does seem strange! And I am looking longingly at all your green and beautiful spring flowers! What a lovely set of pictures, despite being at the end of summer. And you’re so right about the moth antennae – that made me smile. And the king parrot is a delightful thief. Thank you Jo. I treasure having the parrots come to visit. Beautiful colours. The king parrot is a bright coloured bird! He is. We feel privileged to have him visit the garden.